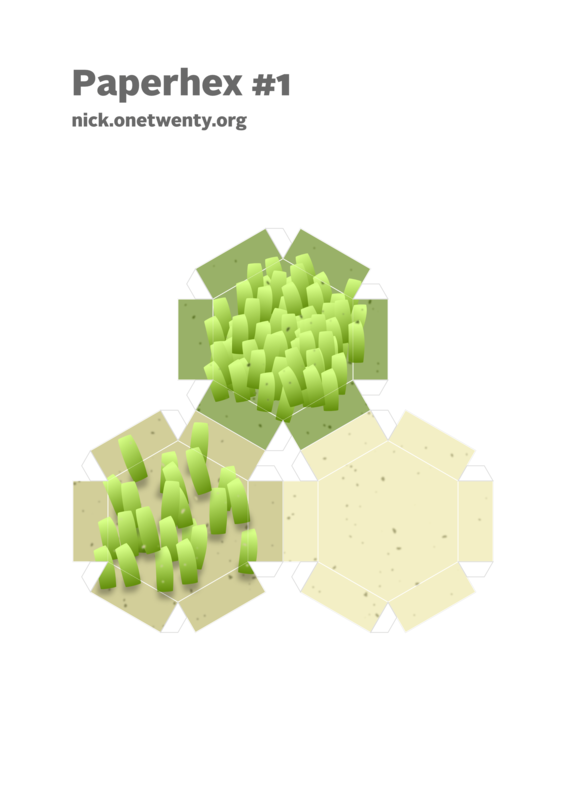 Day 24: Green – Nick. It’s not easy being green. Work only with green-colored materials today. 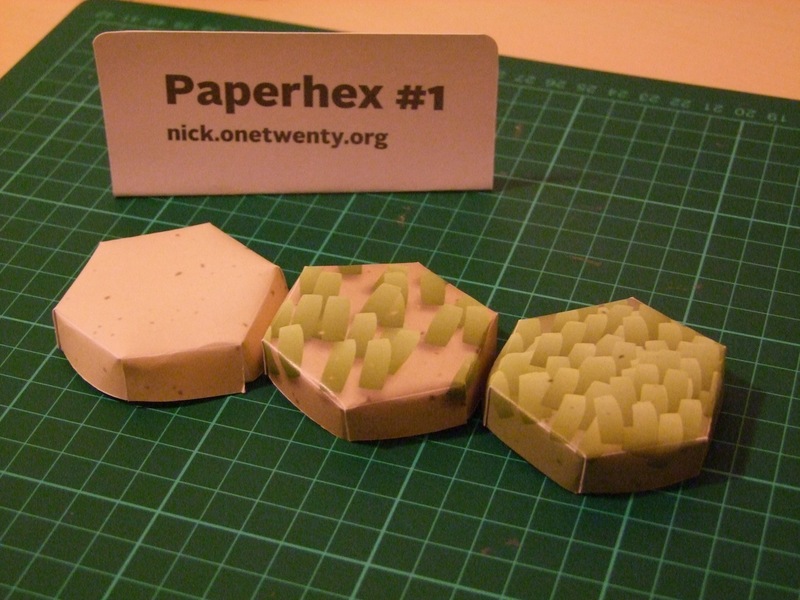 Try working on a green surface for a real challenge. 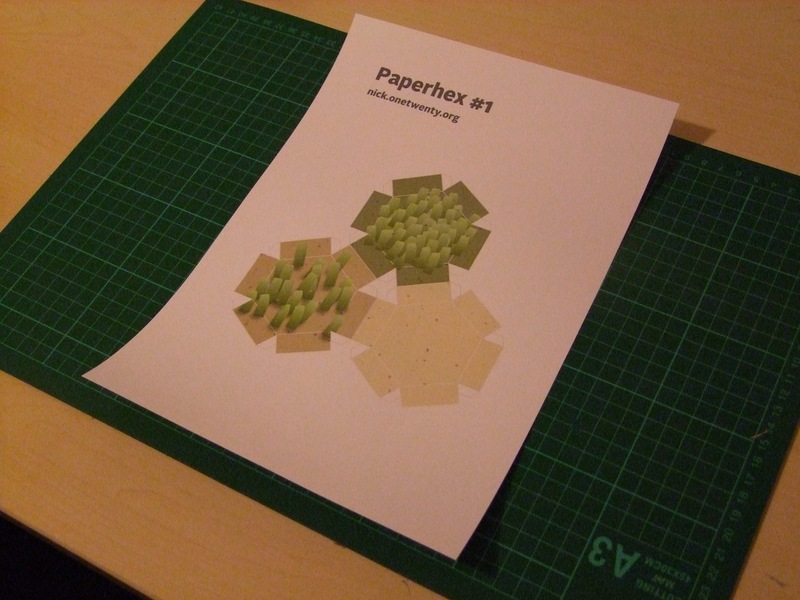 I had a bit more time today, and tried to stick closer to my primary theme: papercraft, with an eye to creating assets for a papercraft game. Green. Green. Green. 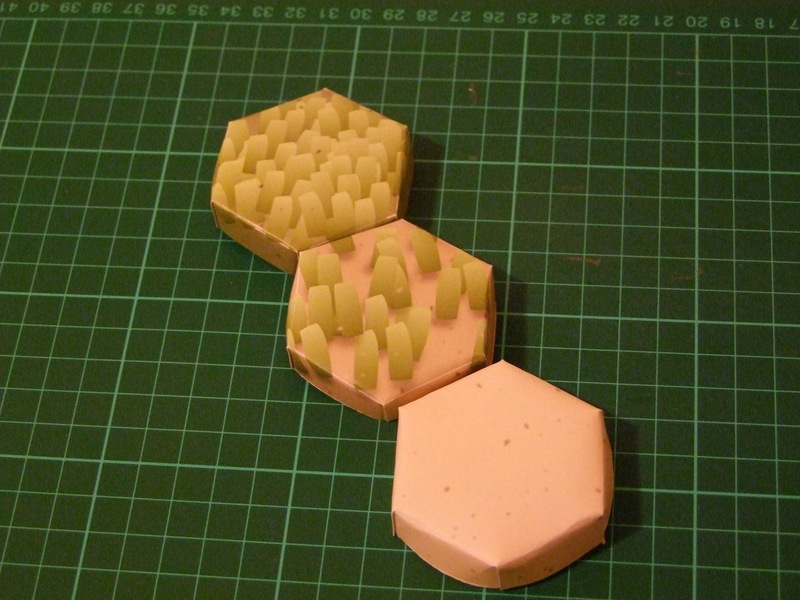 The first thing that entered my mind was grass, which led me to the idea of game tiles. 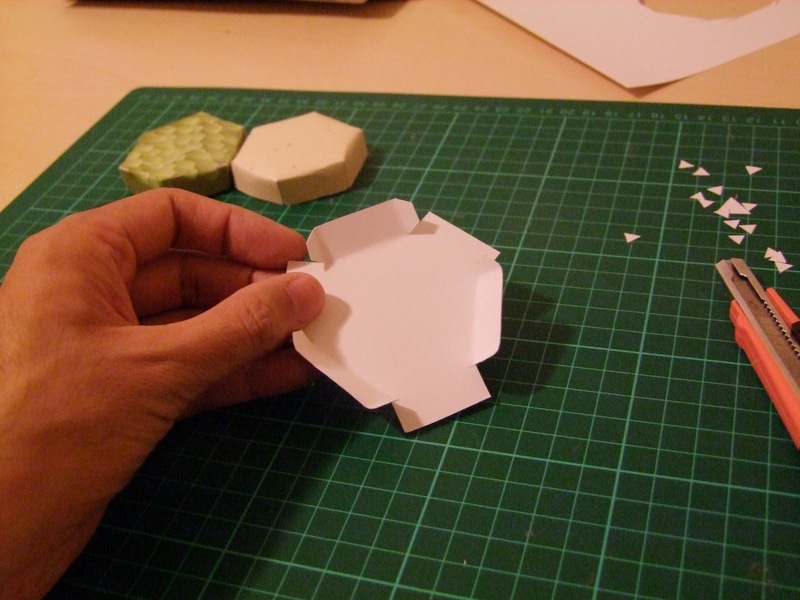 I’m not sure if a papercraft hex grid would ever be practical, but I wanted to give it a go. When considering options, I recalled that I really don’t like the feeling of paper tokens – they feel very flat and have clear cardboard edges. 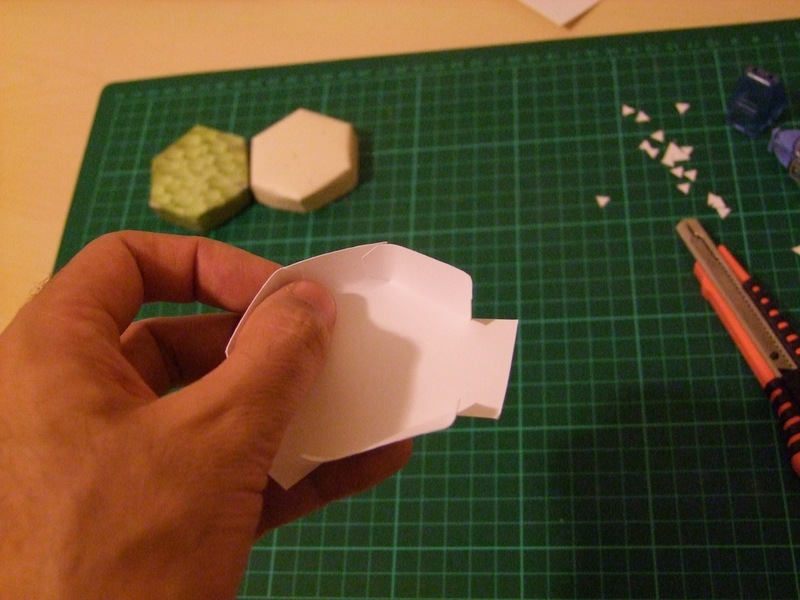 I didn’t want the tiles to feel like that, so I designed them with a bit of volume and in a way that lends itself to soft textured edges when folded and glued. 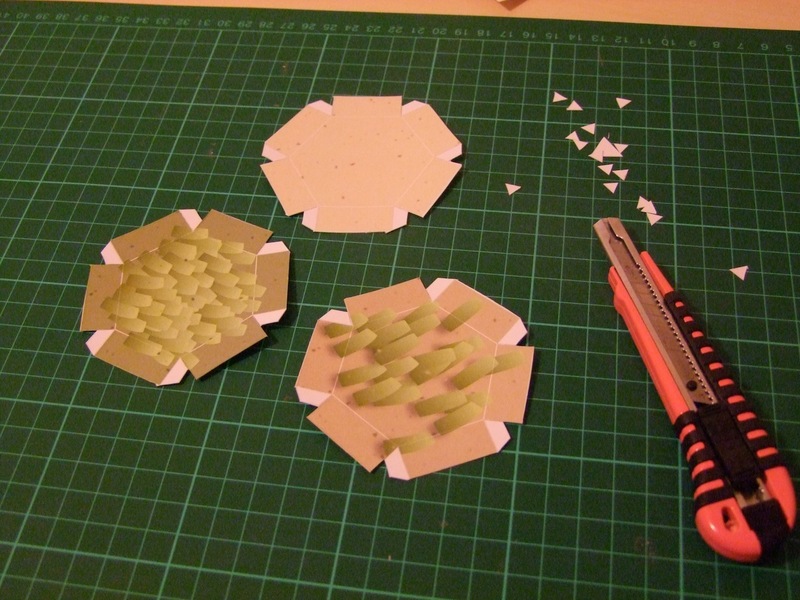 Final note: My cutting mat is green, so I suppose I get free brownie (greenie?) points today for sticking to the daily theme.